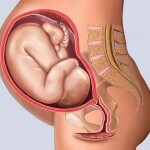 Growth in the womb is a rapid process; All systems are in place by week eight. For some people, the fact that human life begins at fertilization is enough to firmly establish the injustice of abortion. Others aren’t so easily convinced. They might argue that even though human embryos and fetuses are human beings, they are not developed enough to be morally significant. If we’re honest, we must concede that there is a period of time following fertilization during which human beings do not look very human, or at least they don’t look the way we expect human beings to look. 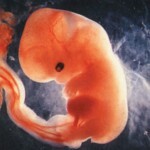 In truth, a human blastocyst looks exactly as a human being should look, five days after fertilization. 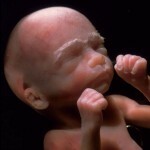 Nevertheless, it can be difficult to feel much emotional attachment to something that so little resembles a baby. 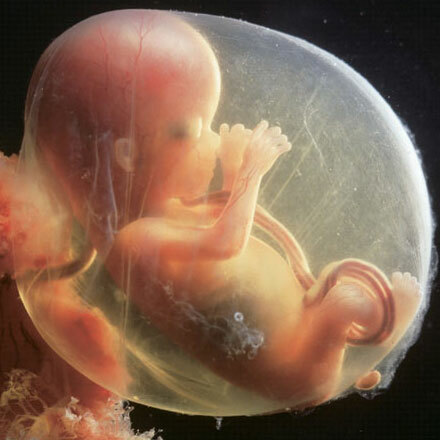 What most people don’t realize is how quickly the developing human takes on the characteristics that are so familiar to us in human beings outside the womb. The rate of growth is astonishing. In fact, during the several days following implantation, the embryo doubles in size every day. 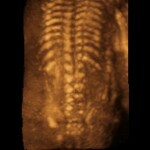 If such rapid growth were maintained throughout the pregnancy, the baby would be larger than the sun at birth! In just six weeks time, the human embryo goes from looking like a “bunch of cells” to looking like a baby – though only a half inch tall! At the moment of fertilization, a new and unique human being comes into existence with its own distinct genetic code. Twenty-three chromosomes from the mother and twenty-three chromosomes from the father combine to result in a brand-new and totally unique genetic combination. 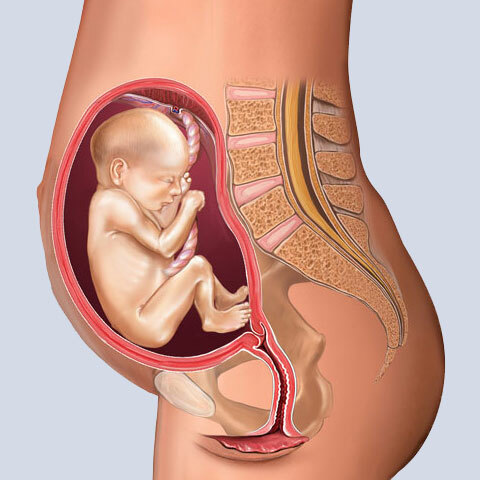 Whereas the heart, lungs, and hair of a woman all share the same genetic code, her unborn child, from the moment of fertilization, has a separate genetic code that is all its own. 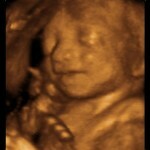 There is enough information in this tiny zygote to control human growth and development for the rest of its life. Until implanting into the lining of the uterus, each cell lives off of stored energy and newly manufactured DNA; at this stage in development the zygote is receiving no direct sustenance from the parents. Geraldine Lux Flanagan, Beginning Life. New York: DK, 1996. pp. 14, 23. Barry Werth, From Conception to Birth. New York, NY: Doubleday, 2002. p. 7. 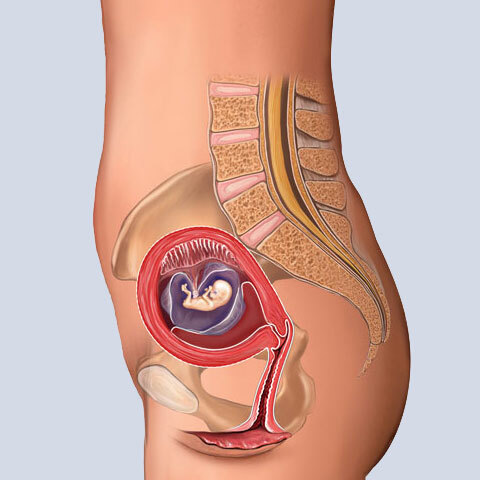 By the end of the third week of pregnancy, approximately 21 days after fertilization and 8 days after first taking shape, the heart starts beating. Over the next four days, the heart will settle into its regular rhythm and will start pumping blood throughout the embryo’s newly formed blood vessels. It will continue to do so for an entire lifetime and will have beat roughly 54 million times before the baby is even born. The kidneys, at this point, are preparing for urine production, eye “bulges” become visible, and the brain begins dividing into three primary sections: forebrain, midbrain, and hindbrain. The arms and legs are also taking shape. Around day 26, arm buds are visible. By the 28th day, it is possible to distinguish between the upper and lower arm. The embryo is now surrounded and protected by the amniotic sac and is actually starting to produce the necessary cells for producing the eggs or sperm necessary for their own reproductive future. 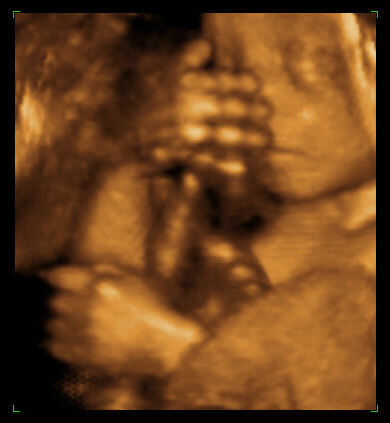 In the Womb, National Geographic, 2005. 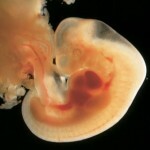 A month after fertilization, brain development rapidly speeds up. In just two days time (between day 31 and 33), the brain’s size increases by 25 percent. It is estimated that during the course of prenatal development an average of one million neurons (impulse-conducting cells that make up the nervous system) are produced every minute. 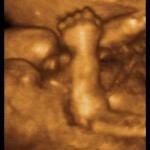 Hand formation begins around day 31. 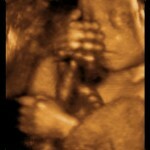 Two days later, the feet begin taking shape, the retina of the eyes gain pigment, and the nose starts to elevate. Geraldine Lux Flanagan, Beginning Life. New York: DK, 1996. p. 37. 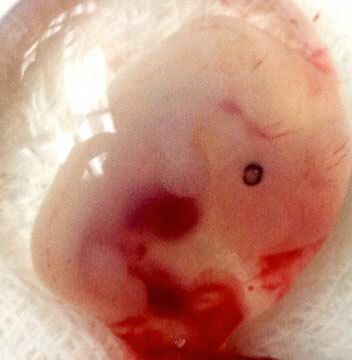 5-week embryo (ectopic pregnancy). Used with permission. 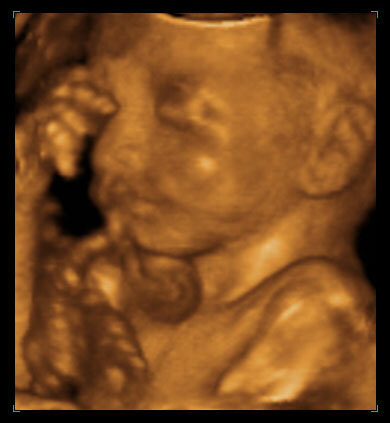 Permanent kidneys appear during the fifth week, and the external portions of the ear begin to differentiate. The fifth week will see the embryo more than double in size, growing from approximately 5 millimters in length (.19 inch) to 10 millimeters. Lennart Nilsson and Lars Hamberger, A Child is Born, 4th edition. New York: Bantum Dell, 2003. p. 98. By the sixth week, the brain emits measurable brain impulses. Primitive brain waves have been recorded as early as six weeks and 2 days. Small bodily movements can be observed at this time, initially affecting the entire body but gradually becoming more specific. 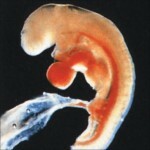 The embryo responds reflexively to stimulus and may be able to feel pain. 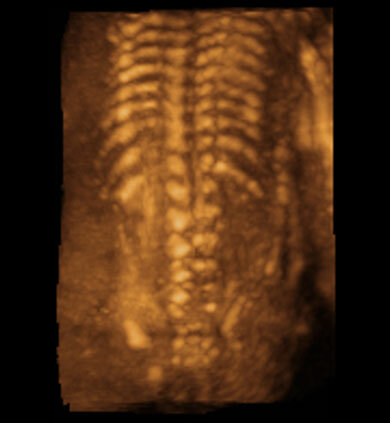 Lars Hamberger, Professor and Chairman of the Department of Obstetrics and Gynecology at Sweden’s Gothenburg University notes that, “even this early in pregnancy, the embryo is extremely lively, in constant motion, sleeping for only brief periods.”3 Bone ossification has begun, lips have appeared, all 20 teeth buds are in the gums, the diaphragm has formed, the kidneys are producing urine and the stomach is producing gastric juices. The Biology of Prenatal Develpment, National Geographic, 2006. Distinct leg movements can be seen after seven weeks; hiccups have also been observed. Female ovaries are identifiable and the 4-chambered heart has reached completion. 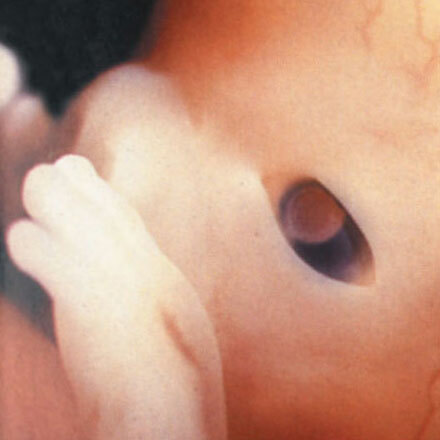 Fingers and toes are distinctly separated, knee joints are present, and the embryo develops the ability to smell. Geraldine Lux Flanagan, Beginning Life. New York: DK, 1996. pp. 55, 56. Photo by Suparna Sinha. Licensed under a Creative Commons Attribution 2.0 License. By the eighth week of pregnancy, every organ is present and in place. The embryonic period is now over. Ninety percent of the structures found in an adult human being can be found in this tiny embryo (now called a fetus) which is only about an inch and a half long. 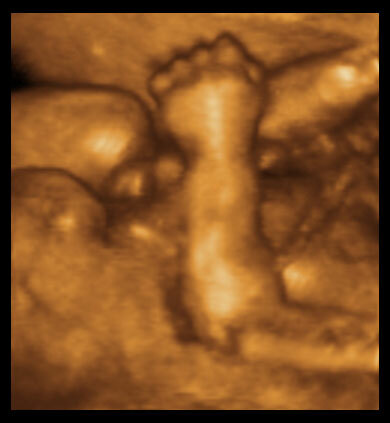 The brain, at this point, accounts for almost half of the body’s total weight, and 75% of 8-week fetuses demonstrate right-hand dominance. Intermittent breathing motions (though there is no air present in the uterus) occur, and male testes are releasing testosterone. As the skin thickens, it loses much of its transparency. 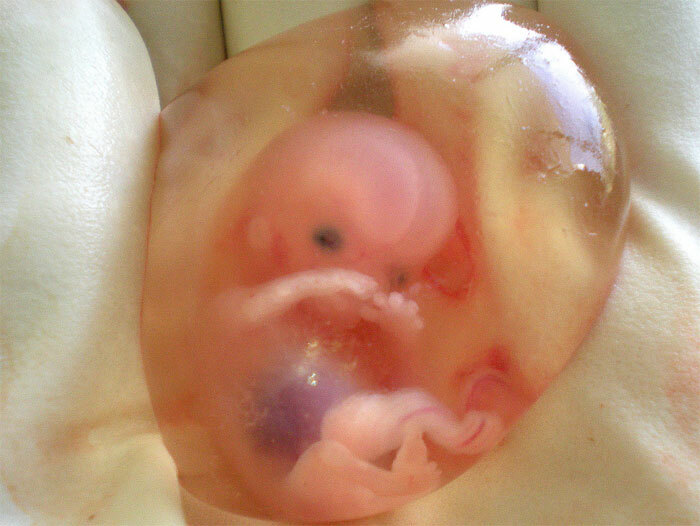 The photograph above of an 8-week fetus (10-weeks gestation) was taken by a medical student in India, immediately following the removal of the mother’s uterus (after she was diagnosed with cervical cancer). 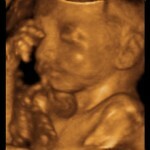 It provides a rare glimpse of what developing human beings look during the early stages of pregnancy. Alexander Tsiaras, From Conception to Birth. New York, NY: Doubleday, 2002. p. 183. 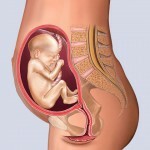 The prenatal photographs shown above were taken by famed Swedish photographer Lennart Nilsson and are displayed here for educational, non-commercial purposes in accordance with the doctrine of “fair use”. 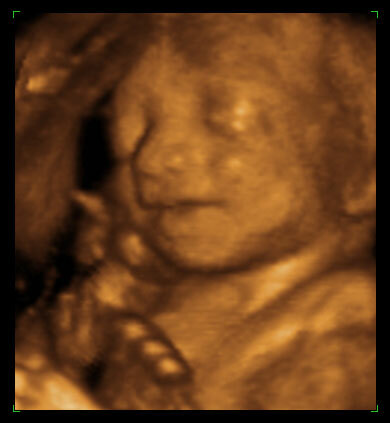 The eyelids close at this point, and fetuses are now capable of sucking their thumb, swallowing amniotic fluid, grasping objects, responding to touch and even doing backward and forward somersaults. 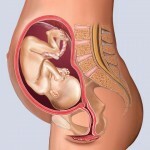 The uterus can be recognized in female fetuses and external genitalia become more recognizable. Geraldine Lux Flanagan, Beginning Life. New York: DK, 1996. p. 59. Rapid growth between 9 and 10 weeks increases body weight by 75 percent. Fingernails, toenails and unique fingerprints all appear at this time. 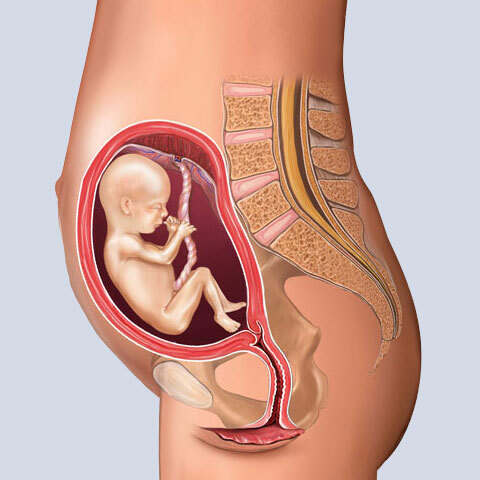 Though the fetus has long been in almost perpetual motion, by 16-20 weeks from fertilization, the body is large enough for the mother to start feeling the kicks. Eyelids have now completely covered the eyes, and fine hairs have begun to cover the entire body. Lennart Nilsson and Lars Hamberger, A Child is Born, 4th edition. New York: Bantum Dell, 2003. p. 122. 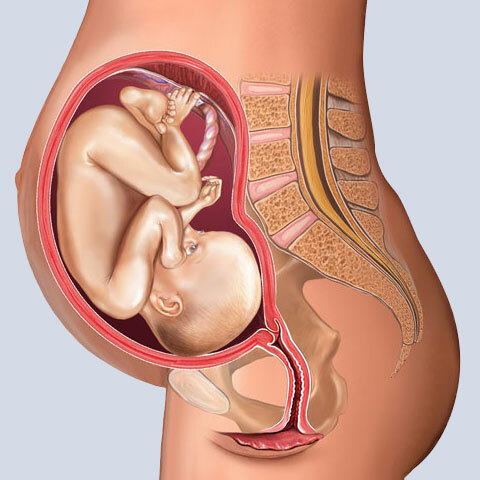 Where modern medical services exist, twenty-two weeks from fertilization (24-weeks gestational age) is generally considered the beginning of viability outside the womb. At this point in pregnancy (barely half way through a full term) the odds of long-term survival are still relatively slim, but new medical advances continue to increase the likelihood of survival and decrease the age of viability. Private collection. Used with Permission. The fetus initiates labor by stimulating the adrenal cortex to secrete a hormone that induces the mother’s uterus to begin contracting. 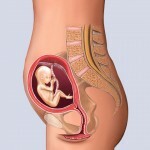 It is the fetus who determines when it’s time for birth. In the womb, babies of all nationalities look roughly the same. 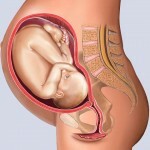 It is only towards the end of pregnancy that color variations become apparent. 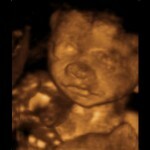 A baby’s skin often appears pink when it is first born because the blood vessels are so close to the skin’s surface. Final formation of skin, hair, and eye pigmentation requires exposure to light, something the baby doesn’t have much access to in the womb. 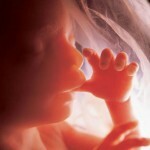 There has long been a common misperception that most abortions occur before the embryo or fetus is recognizably human. Day after day, thousands of aborting women wrongly believe that they’re simply eliminating some undifferentiated human cell tissue. Because the general ignorance of prenatal development is so convenient to the abortion industry, it’s not hard to guess why Planned Parenthood does so little to accurately educate their clients. Of course, even if human embryos didn’t become so recognizably human in such a short amount of time, would that somehow change the ethics of abortion? Afterall, isn’t it the height of injustice to abuse another member of the human community simply because they don’t look the way we expect them to? 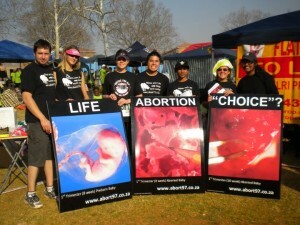 Abortion is not the mere removal cell tissue; it is the death of living, growing human beings. Alexander Tsiaras and Barry Werth, From Conception to Birth, (New York: Doubleday, 2002), 58. Quoted in “Lewis Wolport gives the miracle of life the hard cell”: Anjana Ahuja, “Lewis Wolport gives the miracle of life the hard cell,” The Sunday Times (UK), March 28, 2009, par. 1. Lennart Nilsson and Lars Hamberger, A Child is Born, (New York: Bantam Dell, 2003), 101.